From breeding and raising chickens to prospering from the poultry lifestyle, Chicken Whisperer Magazine features the most experienced and qualified team of poultry experts in the industry to inform, educate, and entertain you in the art of raising chickens. Never before has such an experienced editorial advisory board been assembled to provide this level of accurate and credible information in the poultry industry. 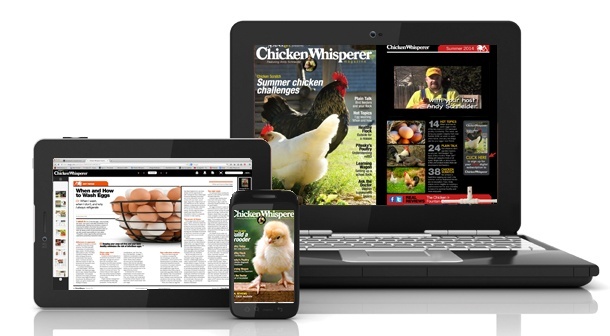 News on health and nutrition, disease prevention, breeding techniques, and product reviews fill each quarterly issue of Chicken Whisperer Magazine, providing you with the leading voice in advice and education about everything chickens.